First thing is first: save yourself some trouble and remember that carrier sense multiple access collision detect is best referred to as simply CSMA/CD. We’ve heard some ridiculously long terms before, but CSMA/CD takes the cake. Jokes aside, this media-access mechanism is what keeps networks running. If two or more computers transmit data at the same time, we get data collision. And thus, no data is sent or received. Luckily we have CSMA/CD for both preventing and controlling collisions. The question is: how do you create a sense of order when an entire network of computers wants to constantly transmit data? Before we get into CSMA/CD in particular, we need to review who is vulnerable to collisions. Some types of data transmission are virtually invulnerable to collisions- while others are somewhat lacking in this defense. Simplex transmission is, well- simple. It is a connection in which data will always flow in one direction, and will not suffer collisions as a result. Since data flows in one direction, this is poor for mutual communication- so we likely won’t see simplex operation in everyday networks. You do, however, come into contact with simplex transmissions more than you think. Your cable company sends video in a one-way data transmission to your television set. Half-duplex transmission allows both devices to communicate. However, note that in the above diagram that data is only being sent from one device at a time. Half-Duplex operation is where almost all collisions will take place: since each device may not know the other is transmitting. If this occurs, the data collides over the line and the data is corrupted. For a practical example, we could make reference to phones. If you try to call someone who is using the phone line, you will more than likely get a busy tone and not get a connection to the person. This is the same principle; although with computers we will get a destructive loss in data, as compared to a busy tone the phone would provide. Full-duplex operation is much like half-duplex, only devices can send and receive data at the same time. Virtually no collisions take place on a full-duplex transmission. Perhaps a bigger benefit is the increase in overall throughput- since we are sending and receiving on two different channels, we just theoretically doubled our data transfer rate. CSMA/CD: What’s in a Name? First let’s take a look at what CS (carrier sense) is in CSMA/CD. 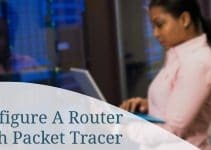 Carrier sense is the ability of a network interface card (NIC) to check the network for any communication. Obviously if there is data being transmitted over the network, the NIC should not attempt to transmit data. If there is no traffic on the network, the NIC will then attempt to transmit the data. However, we can’t be sure that data isn’t in the process of being sent by other computers- so this is one possible beginning of a collision. The MA (multiple access) part of CSMA/CD tells us that there will be multiple devices using the same network. This, of course, means collisions are more than possible. It also tells us that in the ring topology, no collision will ever occur since only one computer uses the media at a given time. Lastly, you can bet that even if you are using wireless, you’ll be victim to collisions since multiple computers are using the same medium. The CD (collision detect) part of CSMA/CD states that we need a method for detecting a collision. After all, we need to tell other computers to hold off on transmissions until the problem is sorted. Collisions can be spotted since they are generally higher in signal amplitude than normal signals. If we do indeed spot a collision, a jamming signal is sent to all computers and a back-off algorithm is observed. This algorithm simply tells computers not to transmit new data for a random amount of time. When transmission is again ready, the devices involved in the collision do not have priority. 1 – A collision is detected. 3 – Each device sees the jamming signal, and invokes the back-off algorithm. Each device will have a random timer that determines when it can transmit again. 4 – When the back-off timer expires, devices are free to transmit data again. Devices involved in the collision earlier do not have priority to transmit data. Cisco exams like to cover the CSMA/CD topic, so be sure to keep it in mind when studying for exam day. Keep in mind CSMA/CD is a first come, first serve approach (and deterministic as a result). Cisco puts an emphasis on the back-off algorithm and jam signal process as well. Lastly, be on the lookout for tricks. Keep in mind that even under full-duplex operation, a network operating under a hub will not take advantage of the collision-free properties of full-duplex. 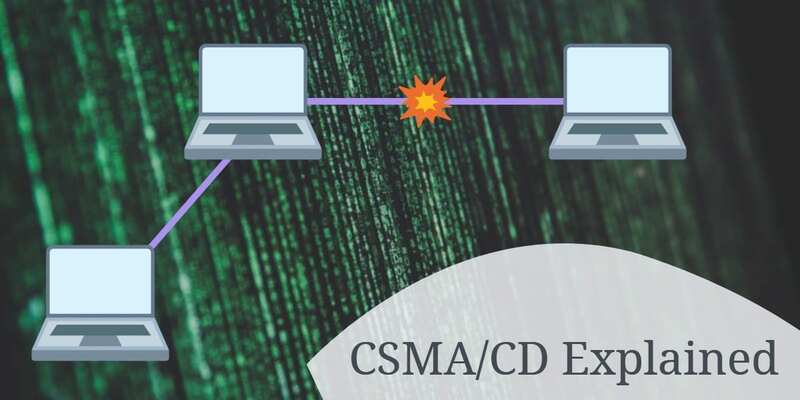 Is CSMA-CD in actual use today. I mean are there actually working packet switched networks, which aren’t relics of the victorian age that still don’t use full dupex links and switches? Thanks matey. am soon doing ccna certifications. but cud u plz send me some guidance..
great site tho. and your a great teacher. keep the game flowing… Gods will pay you unnoticingly.. Thanks for the great help..You are doing a Good job..teaching free…Thanks again. First of all, thank you for the great job you are doing. These articles are very informative.